After the exhausting moving process, the last thing you want to do is have to spend weeks unpacking, setting up and settling into your new home. While it’s a dream to think about how your life may be after a big move, the reality is it’s hard work and a big job moving. Because of this, it’s just as important to focus on unpacking as you do packing. Luckily, it doesn’t have to be a struggle when you hire professional removalists. Here are our top tips to unpacking after a big move. Moving home can be chaotic and stressful, which is why it’s important to keep everything organised at all times. Not only will it make things easier to unpack, but it will also help reduce stress and let you stay in control. What is the best time-saving tip to unpacking? Pack your items so that you can easily unpack them at your new home. What does that mean? Be sure to put items from the same room into the same box. This makes sure that they all are unpacked in the same room and location. Also, clearly label every box and carton with the room of the new house. Not only will it make it easy for the movers to know where it belongs. But it will also save you having to search through all your belongings to find that one item you are urgently looking for. If you took measurements of your new home as well as photos in advance, this would make the process easier. You can also use floor plan software to virtually create a layout of your home. As well as place furniture in it using the software. This lets you try many different combinations of furniture to find the optimal layout. All without physically having to shift heavy and bulky furniture back and forward and from room to room. Once you have decided on a layout which is right for you, be sure to give a copy of the move-in plan to your removalist. This way they can unload everything and put it in the right place directly off the truck. The best way to settle into your new home right away is to be serious when it comes to unpacking. It can be tempting to unwind for a few days, but the sooner you get unpacked, the sooner you will feel more comfortable in your new home. It may take an entire day or weekend to unpack everything and set it up. But the sooner you tackle it, the sooner you can relax. Putting things off, only makes the process take longer. It also leaves a nagging voice in the back of your head which won’t allow you to enjoy your new home until you have fully set it up. With moving being such a huge task, the best way to tackle it is to create a plan and break it up into smaller pieces. This will keep you from feeling overwhelmed and lost not knowing where to begin. The best way to do this is to go room to room throughout your new home and make sure that all of your boxes and furniture have arrived. Check each item off one by one. It’s likely that your removalist will have their own inventory list. A trustworthy and reliable mover will ensure that every item is accounted for. But it’s also a good idea to keep your own inventory list, and double check everything has safely arrived. If you find anything is missing, immediately tell your removalist. When still packing your home, you should make an ‘essentials box’ which contains everything you need within the first 24 hours of moving to your new home. Make sure you know where the essentials box is at all times, and consider moving it personally in your vehicle. While you may be tempted to load a lot of food into the essentials box, consider only having a few snacks in there, and ordering takeaway food for the first night or two in your new home. Now it’s time to sort through the rest of your belongings, and once all your furniture is in place, start unpacking all of your belongings. If you label the boxes before moving, it will make the process a lot easier. Pro Tip: Label all four sides of the boxes, in case the label is against the wall. That way you can quickly see what box is what, without having to move or rearrange anything. If you’ve planned out the location of your large and bulky furniture in advance, this process will be a lot easier. You won’t have to keep moving heavy furniture to find the best layout in each room. With all the time and energy that goes into packing and unpacking, it can be easy to forget to change your address. The Australia.gov.au website has a checklist of every Government and non-Government organisation you need to notify of your address change. If unpacking seems overwhelming, or you don’t have the time to do so, you can always call on an extra hand to help. Consider asking friends or family to help you with the move. Put on some good music, order some takeaway food, and have a great time! But, if you don’t want untrained people handling your expensive items, it’s a great idea to hire a packing/unpacking expert instead. Professional removalists not only provide a moving service, but they can also pack your home before the move. As well as unpack once you arrive at your new home. Whether you need help unpacking only one or two rooms, a few bulky and fragile items, or your entire house, removalists can help. Moving is a big job which takes a lot of time and effort, and asking for help can make it go smoothly and help you settle into your new home a lot faster. Everything is Unpacked! What next? Congrats on the huge job not only of moving to a new home but also unpacking! It’s almost time for a very well deserved rest. But first, there are a few more things still to take care of. 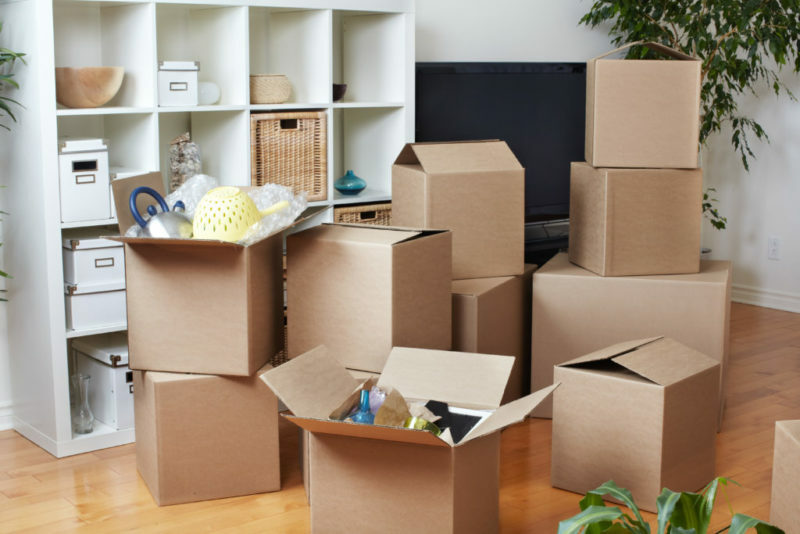 After everything is unpacked and in place, make sure to double check all of your empty boxes. Did you forget to unpack anything? Also, recycle or donate all of your boxes and packing materials to anyone you know who may be moving in the future. Moving home is a big job. But by keeping organised, creating a plan, and asking for help, you can ensure that unpacking is fast, easy, and allows you to enjoy your new home right away! For professional removalists and packers, Local & Interstate Removals are here to help. Contact us today for a free quote. Call us on 1300 705 705 or email info@localandinterstateremovals.com.au.